Application Parts For Eyebrow, Eyeliner, etc. 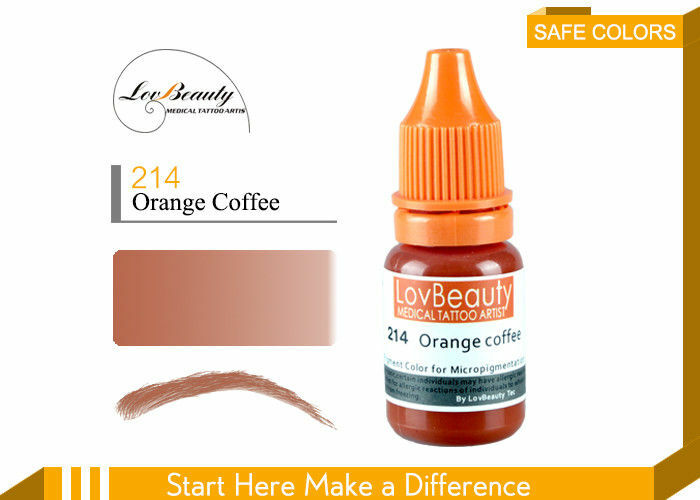 LovBeauty Permanent Makeup Eyebrow Tattoo Pigment are formulated with Iron Oxides which are well known to be safe for cosmetic use. Our permanent makeup eyebrow tattoo pigment have the enough and safety quantity of colorants and micro toner in each drop, so they are absorbed into the skin much more effectively and quickly. The result is truer and more natural. LovBeauty permanent makeup eyebrow tattoo ink are used along with Ethanol which can prevents the pigment drying faster, and keep the mixuture smooth during the working time. LovBeauty Permanent Makeup eyebrow tattoo pigment can be mixed to match your client’s skin tone for eyebrows, eyeliner and lip liner. 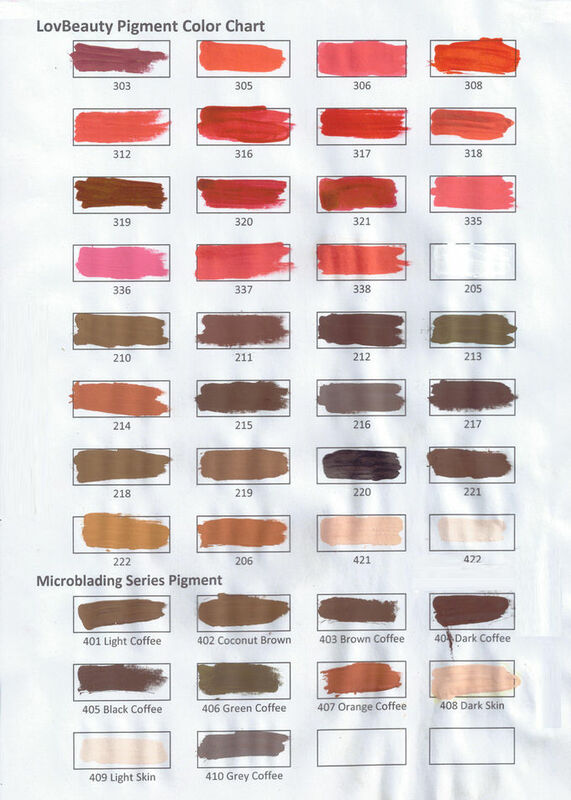 LovBeauty Permanent Makeup eyebrow tattoo pigment have passed through the official product inspection related. Eyebrow microblading tattoo pigment adopted pure plan pigments materials, through processing of the technology, the quality have been achieved the international level. 7) Plastic package can prevent damage in transportation. 8) We also provide emulsion and paste pigment, OEM and ODM services.